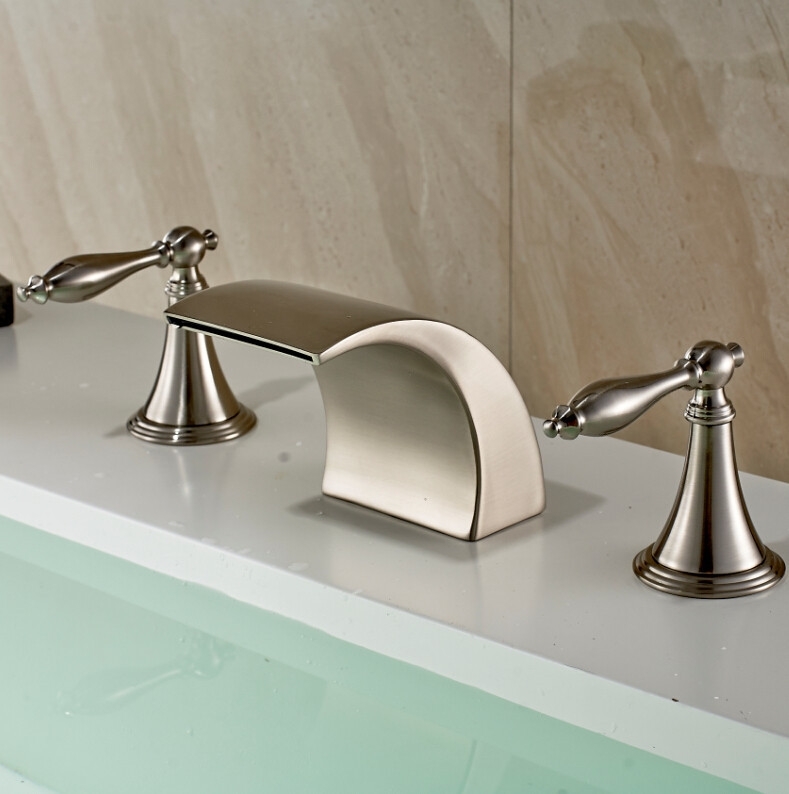 Bilbao is one of the most elegant models in our widespread faucets line. It is beautifully finished in brushed nickel, with 2 gorgeous handles, ideal for modern bathtubs. It comes with hot and cold water mixer for your convenience. It is deck mounted, three holes, with brushed nickel finish. The body, spout and handles are made of brass, while the valve core material is ceramic for best performance and long lasting life time. It comes complete with accessories and installation instructions. The whole set works well and fits properly with the existing bathtub holes. This is good since we didn't need to bore any new holes or modify the existing ones just to make these fit. The delivery was kind of slow though. We intended to have these installed a week earlier but because of the delay we had to have it installed the following week. I wanted to have this faucet installed in the master en suite so I immediately placed an order for one. I was afraid I'd miss out on the sale which would be such a waste. Well, the faucet is kind of good, but the handles had some issues. They were pretty tight to the touch. I don't know if that was because of the installation or something. Hopefully they'd be easier to turn after a few more uses. I've seen a gold bathtub faucet here, and though I liked the design, the vibrant luster didn't actually appeal to me that much. Which is why I went for this one instead. I love the quiet, simple finish of this bathtub faucet. Besides, these kinds look pretty easy to maintain. And those handles are just pretty. I thought they'd be weak and break, but after having it for a while now, I'm pretty confident that they'll hold.